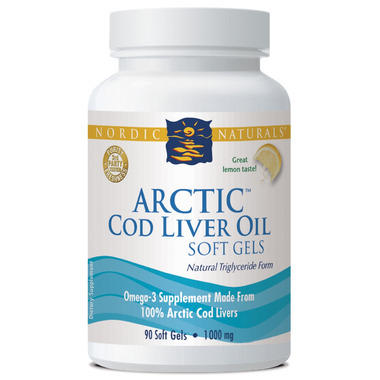 Nordic Naturals Arctic Cod Liver Oil is a source of omega-3 fatty acids, which support cognitive health and brain function. 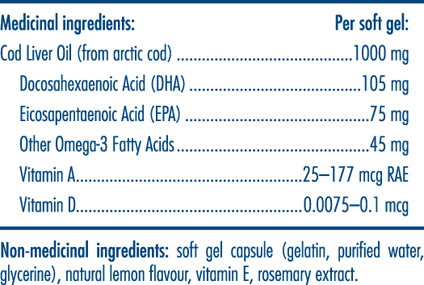 Non-medicinal Ingredients: soft gel capsule (gelatin, purified water, glycerin), natural lemon flavour, vitamin E, rosemary extract. Suggested Use: Two soft gels daily, with food, or as directed by your health care professional. Not sure if it's doing anything but no negatives.